Preheat the oven to 450 degrees F. Place a wire rack on a baking sheet lined with foil. Coat with cooking spray. Place the whole wheat flour in a medium bowl. In a shallow container, whisk together the eggs, Dijon mustard and paprika. 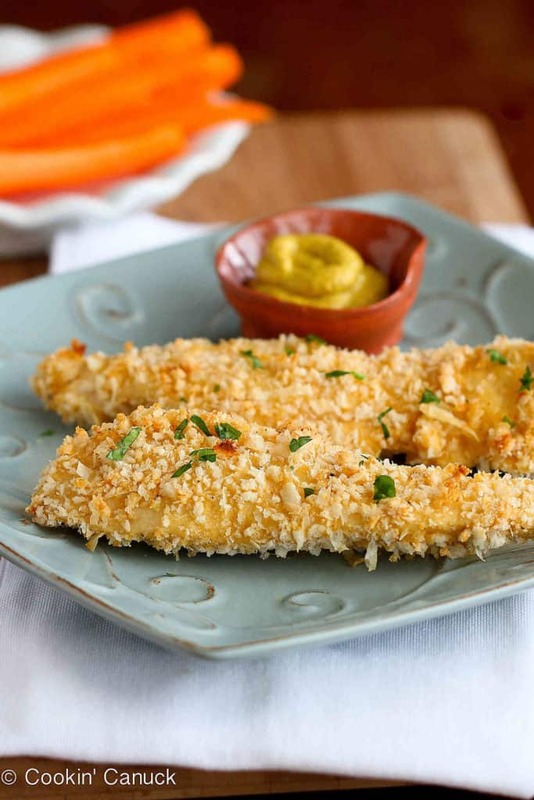 In a separate shallow container, combine the panko breadcrumbs, Parmesan cheese, salt and pepper. Serve with Dijon or honey mustard. © 2014 Cookin Canuck. All rights reserved.